Aero engine, Scott “Flying Squirrel” aero engine, s/n A25-5054, 2 cylinder, 2 stroke, model A25 [MkII], inverted air-cooled, Scott Motor Cycle Co Ltd, Shipley, England, 1935-1938 (OF). Made in England, United Kingdom, Europe, 1935-1938. 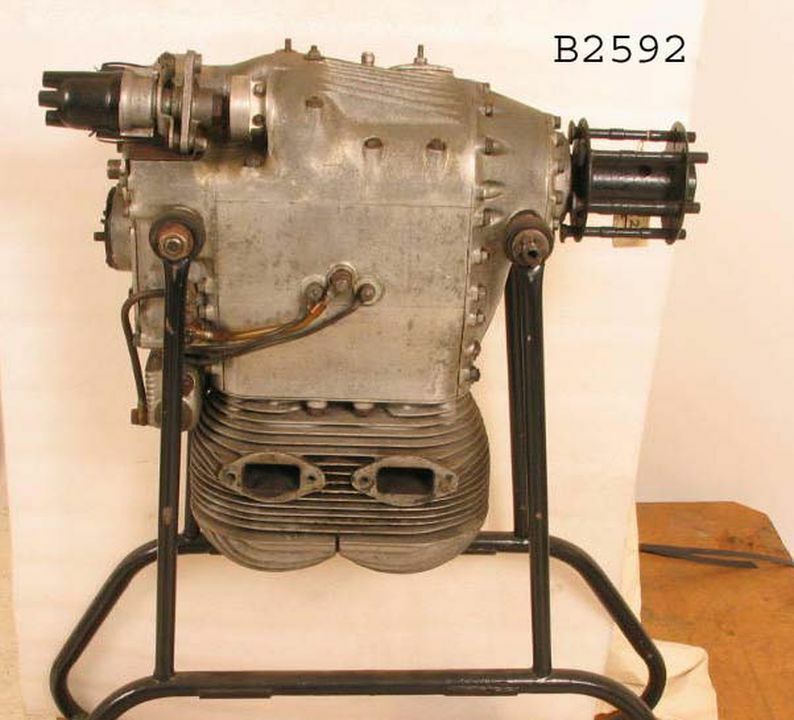 Aero engine, Scott "Flying Squirrel" aero engine, s/n A25-5054, 2 cylinder, 2 stroke, model A25 [MkII], inverted air-cooled, Scott Motor Cycle Co Ltd, Shipley, England, 1935-1938 (OF).